While not exactly a retelling, this book is an absolutely adorable story about not judging a person by their image or reputation and it’s filled with favorite fairy tale and nursery rhyme characters. I’m going to admit that I picked this book up because I love figure skating. I love it now, and I especially loved it as a kid. You can keep your baseball and basketball and football… give me figure skating! Tara Lazar wrote a very sweet story about our favorite Red. This time she’s a skating fanatic, but her skates are old and she needs new ones to keep her feet comfy and keep her safe when dancing across the ice. A competition is announced with the prize of new skates, making this the perfect opportunity for her! The problem is she needs a partner and everyone is already taken. Or are they? 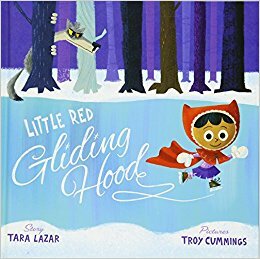 While I loved the story (it didn’t feel like the author was talking down to her reader just because it was a children’s book and Red’s repeated exclamation of “Oh, slippery slush!” made me giggle more than once), I have to give a shout-out to Troy Cummings, the illustrator. 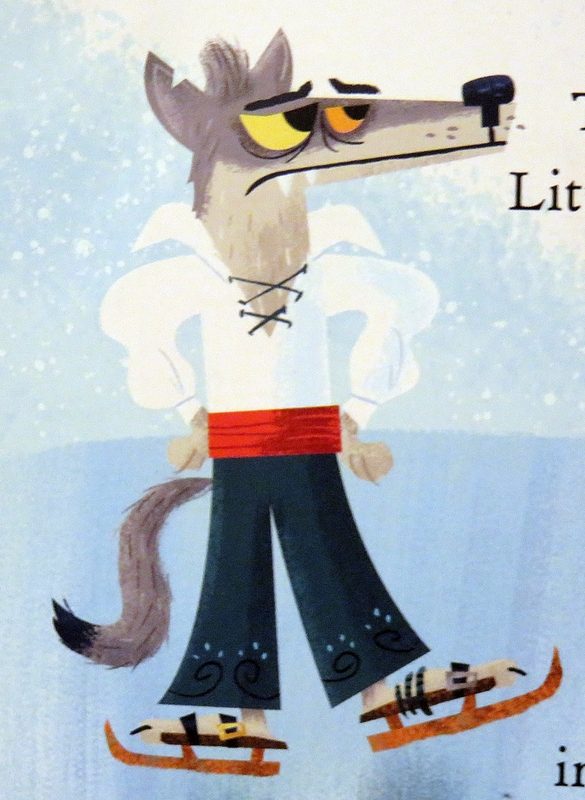 All of the artwork was lovely, but the wolf! Oh my. Do you see this dapper wolf? Do you see his skating clothes? I’m in love. He reminds me of my favorite Russian skaters in the Olympics of my childhood. I can’t help it! I recommend this one wholeheartedly. And if you speed through it the first time like I did, give it a second read and pay special note to all of the side characters, no matter how briefly mentioned. It really helps make the book. *Is there a children’s book about poetry, books, or creativity that you want me to check out? Maybe a favorite fairy tale retelling? Make sure to leave the suggestion in the comments!